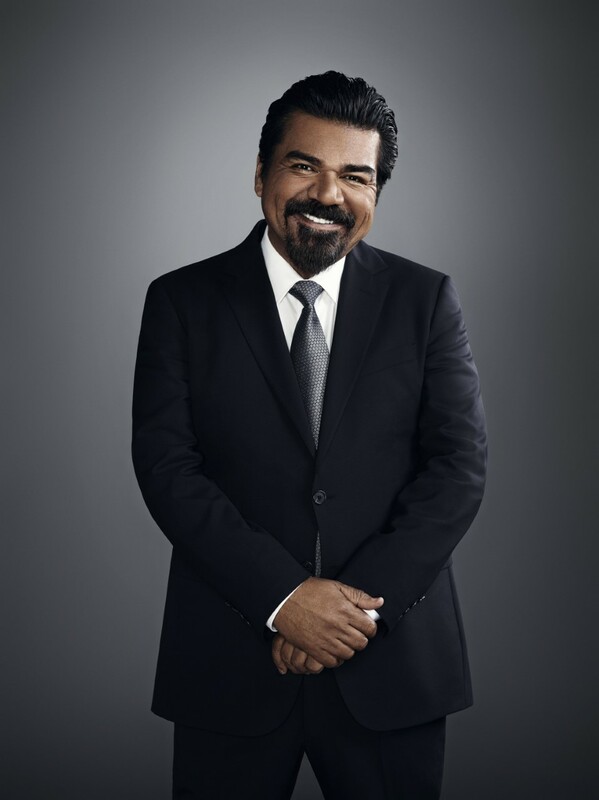 George Lopez’s multi-faceted career has encompassed standup comedy, TV series, feature films, and hosting and guest appearances on television. For two seasons, he starred on TBS' "Lopez Tonight," a late-night television talk show. Previously, he co-created, wrote, produced and stared on the groundbreaking sitcom "George Lopez," which enjoyed a six season-run on ABC. The series remains a hit with viewers in syndication on both broadcast stations and cable’s Nick at Nite. In 2006, George received a star on the Hollywood Walk of Fame. In addition, Time magazine has named him one of the 25 Most Influential Hispanics in America. Kam Williams: Hi George, I'm honored to have this opportunity to speak with someone so successful at standup, with a sitcom and hosting your own talk show. Just mastering one of those would be very impressive, but accomplishing all three is quite a phenomenal feat. George Lopez: Well, thanks Kam. Let me say that this is the best start of any interview that I've ever had. KW: I'm not even factoring in your challenging childhood where your migrant farm worker father abandoned your mom when you were a toddler. And then she left you to be raised by her parents. That makes your success utterly implausible. GL: Thank you. You know, my grandmother's been gone since 2009. She had dementia since about 2005. It was very painful to watch. My grandfather passed in '88. So much time has passed that, when I think of him, it's so far back, it feels almost like a silent movie. He's gone so long that I can't remember ten things we did together. Just maybe one or two. KW: I'm sorry to hear that. GL: Still, when I reflect on my life, I wouldn't change one thing. I feel that like in the movie Slumdog Millionaire, everything has a purpose. I believe that everything that happens to you is currency for you down the line. Now, it all makes sense. KW: What interested you in I Am Battle Comic? I don't remember ever crying so much while watching a standup comedy film. It was really moving. GL: That project is amazing. I've known [co-star] Don Barnhart forever, and Bob Kubota, Jordan Brady and all those other comedians, a long, long time, too. In the movie, they talk about Bob not being successful after almost 30 years in the business. But you know what? If you're going to war zones to entertain the troops, you are successful. The culture may put a superficial value on celebrity, and associate success with fame. But success really has much more to do with your character and behavior beyond the limelight. It,s not only successful, but honorable, for those guys to go over there to entertain the troops in such dangerous conditions. KW: How do you tweak your standup act when performing for G.I.'s? GL: It has to be clean, and there a certain subjects you need to avoid, like jokes complaining about how hard your own life is, because their lives are at risk 24/7. But it's pretty easy to make the adjustment. Normally, the #1 worry of any standup comedian is: how am I going to do? But that doesn't matter when you're performing on a military base in a war zone. Your just showing up is greatly appreciated. That's an unspoken standing ovation. Since I had the TV shows, I've been getting a lot of letters from soldiers asking for autograph pictures or this and that. And I've always sent stuff to them. So, when I show up in person, they can't believe I'm there, and they're 're so appreciative of that that there's no need to worry about how much I make them laugh. KW: Editor/Legist Patricia Turnier asks: Has there been any soldier you really connected with? GL: Sure. One from years ago was a corporal serving in Afghanistan named David Wheat. He'd been burned over 90% of his body after being ejected from a tank and landing in a pool of fuel. I went to visit him while he was recuperating in the hospital He was burned worse than anyone I've ever seen. I gave him my email and we've stayed in touch ever since. KW: Patricia was also wondering whether your visits change the mood of the soldiers you entertain? GL: Of course, by taking them away from themselves for a couple of hours or so. During that time, they're not thinking about how dangerous their their situation is, people they miss back home, or lost comrades. The show is an escape, much like going to the movies. KW: And she asks: What did you take away from going on these tours? GL: That's a great question, Patricia, because the country is so divided today, not only racially, but between the right and the left. I get a ton of messages from right-wing people who don't like my ethnicity or my political views. But before this current administration, no one ever told me they didn't think I was funny. What I take away from performing for the troops is that their service gives me the freedom to express myself in whatever way feels right for me. KW: The country is so divided and internet trolls have become so snarky and hateful, I wonder where the world is headed. GL: Kam, I've been doing standup for 38 years, and I've never seen it like this. Freedom is supposed to mean being able to express yourself. But now, inside this freedom ball, you have people pointing fingers, which is actually anti-freedom, and anti-American. I get hostile messages every day on Instagram, like "Go back to Mexico!" How am I going to go back to Mexico. I'm not from Mexico. But I never started hearing stuff like that until a couple of years ago And I get it every day now. GL: It's amazing that someone needs to take time out of their life to wish me bad. And they don't seem to be able to separate humor from reality or to look any deeper than the immediacy of whatever that message is. KW: Patricia's last question is: Did you have a role model who when you were young who made you believe that the sky was the limit? GL: Yeah, my high school baseball coach, Steve Marden. When I quit the team my senior year, we went nose-to-nose. He called me a quitter and told me I'd never achieve anything in life, because I was a quitter. Then, when I was an aspiring standup comic, it dawned on me that he was right. And years later, I went back to the school to apologize to him for wasting his time. I said, "You were right, and I had to come and tell you I'm sorry, because I did eventually understand what you were trying to teach me." He appreciated it, and would call me whenever he saw me on TV, and ask, "How's my 3rd baseman!" GL: I always carry an amulet from the Chinese Year of the Ox, that a fan gave me after a show in 2002. She said that it would bring me good luck, if I always kept with me. KW: Thanks again for the time, George, and best of luck with the film. GL: It's been a pleasure, Kam.